One of the sweetest joys of having children in your life is when they smile, thrust out a grubby fist filled with flowers and say "These are for you." They might have stems only an inch long, or no stems left at all. They could be crushed or wilted, but regardless, I would always find a cup or vase, or maybe a bowl to float them in for the decapitated blooms. There are many naturalized or just plain weedy areas around my neighborhood, on the side of the road, and in parks. I never pick from areas where prairie conservation efforts are underway, but I still have many options. Carry a small pair of scissors on a walk and you might come home with a beautiful bouquet for yourself, as I did while walking with my dog this morning. My teenage boys don't seem inclined to pick flowers for me these days. 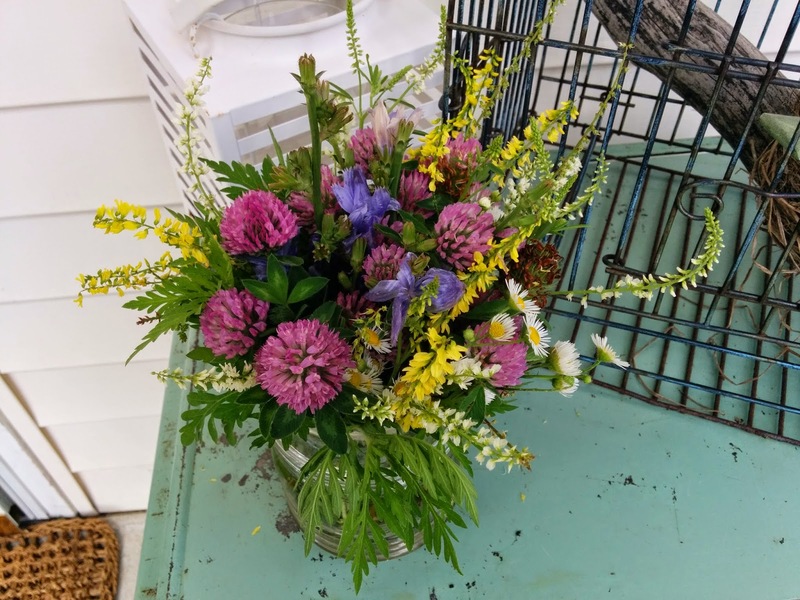 don't know the names, but try to mix a couple of clover or daisy like flowers in the middle to form the bulk of the bouquet, then surround with longer stalks that will sprawl out. Don't forget some foliage to surround and support the blooms. Once you get them home, cut the stems at an angle. If you can cut them while they're submerged, they'll last longest, but I just soak them all in the sink for a few minutes, give 'em a chop, and stuff them in a vase. 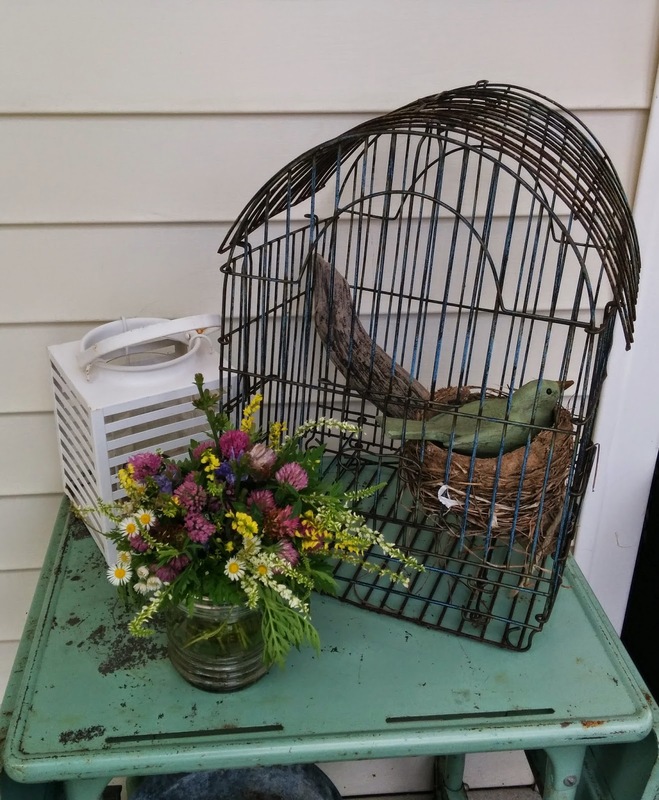 Any container will do--I think wildflowers look best in something homely like this glass porch light shade or a tin can. Mine reside on the front porch since my cats view plants as a buffet, and I have no idea if any of these are toxic. Plus I think it's nice to bring some color up to the front door.